Nigerian Magazine: Blackface drags 2face, accuses him of dissing him in new song "holy holy"
Blackface drags 2face, accuses him of dissing him in new song "holy holy"
One of the members of defunct music group, 'Plantashun Boiz', Blackface, who has been angry with 2face Idibia, few hours ago, took to his instagram page to lambast the singer. In his rant, he claimed that if not because of him, 2face would not have had a big hit. He also accused 2face of stealing his song “let somebody love you”. This is not the first time the duo will have issues concerning song ownership. 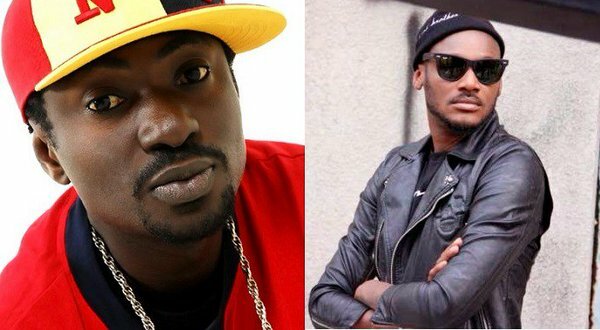 The dancehall act who is better known for his outburst at 2face than his songs further accused 2face Idibia of sabotaging his career, slander, and back-biting.